It called on regulators and businesses to find better ways for people to identify themselves to websites. Net trends towards personalisation and efforts by websites to track users are leading users to maintain a growing list of the logins and passwords. But this comes with risks, warns the ITU report. "This may cause security breaches, and leave them vulnerable to the machinations of identity thieves ever increasing in number and inventiveness," said the report. The UK government estimates that ID theft costs the nation £1.7bn every year. 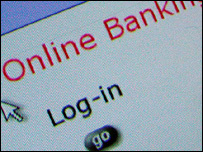 As well as being dangerous, being forced to generate so many login names and passwords wasted time and was very unwieldy, said the report. The UN agency urged net firms, businesses and government bodies to create better or more unified ways for people to use websites that would help to safeguard their identity online. The growing problem of ID theft could stunt the growth of net commerce as users become wary of spending money online, warned the ITU. The warning about the growing number of online identities that people maintain came in the 2006 Internet report from the ITU.